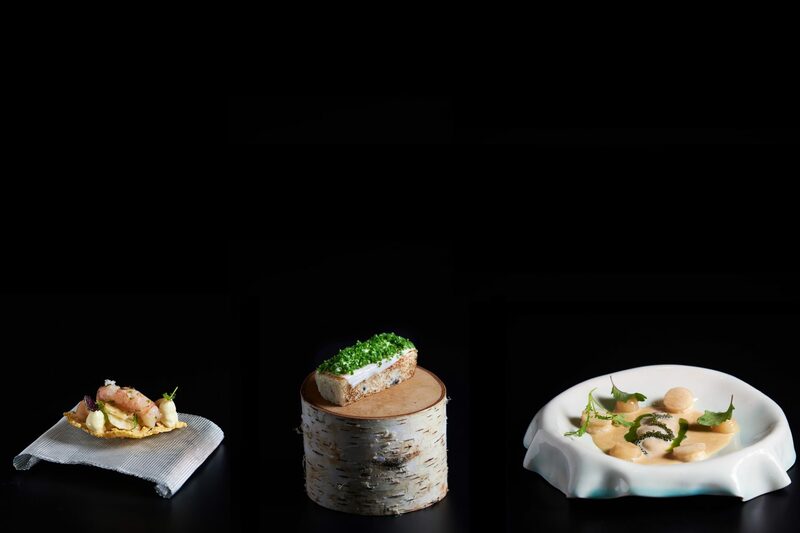 There are no open fires at Lerouy – the latest restaurant opening to excite Singapore’s diners. After all, it’s opened by chef Christophe Lerouy, the man who led little known restaurant Alma by Juan Amador at Goodwood Park Hotel to its Michelin star. Oh there’s a fire all right, but it burns with resolve in his eyes. Chef Christophe Lerouy’s brigade de cuisine. After a false start earlier this year with ill-fated restaurant Dstllry, the French chef is back with a vengeance. The concept is the same: counter seating around an open kitchen where the food is definitively French with a strong influence from the flavours of Asia. But where Dstrlly was dark with black walls and dim lights, Lerouy is light. It could be because local chef Willin Low — one of the restaurant’s backers — had a hand in designing the interiors. 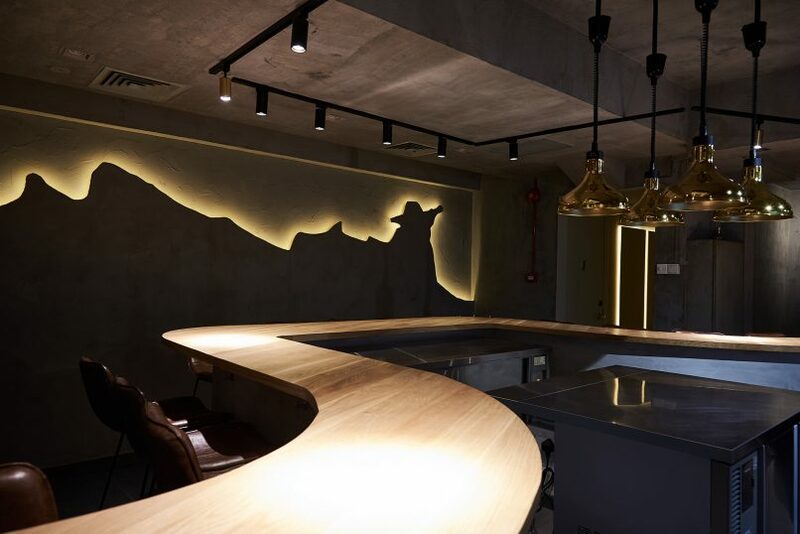 The curvy wooden counter that runs through the ground floor shophouse space is somewhat reminiscent of the furnishings at Mod-Sin pioneer Wild Rocket. The wooden counter at Lerouy winds around the restaurant. 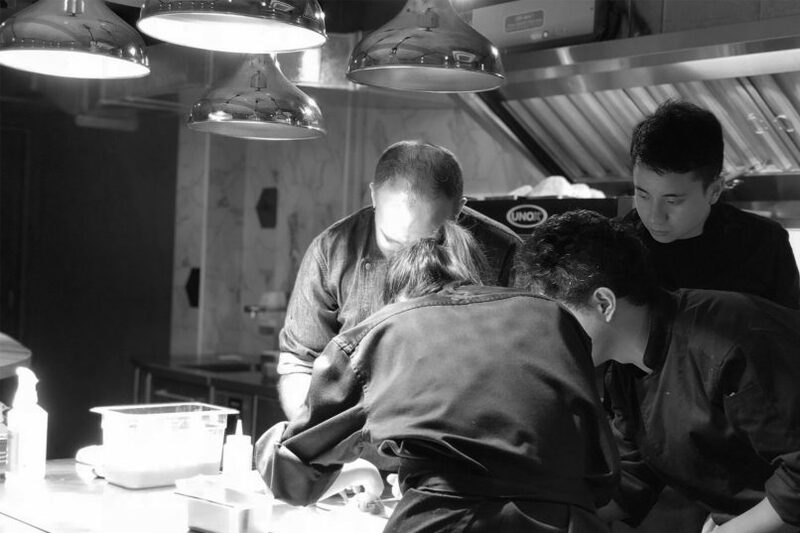 Ahead, the pass sits at the heart of the kitchen, where chef Christophe and his small brigade de cuisine can be seen plating dishes resembling a team of surgeons. As you dig in to the first snacks, trip hop tracks like Portishead’s Wandering Star play over head, priming you for a gustatory journey that will challenge your palate one moment and then lead you down an arabesque of tasty combinations few would dare to dream of. There are no ala carte options here, only a degustation menu at 3 or 5-courses priced at $38 and $55 at lunch, or 5 and 7 at $98 and $128 for dinner. 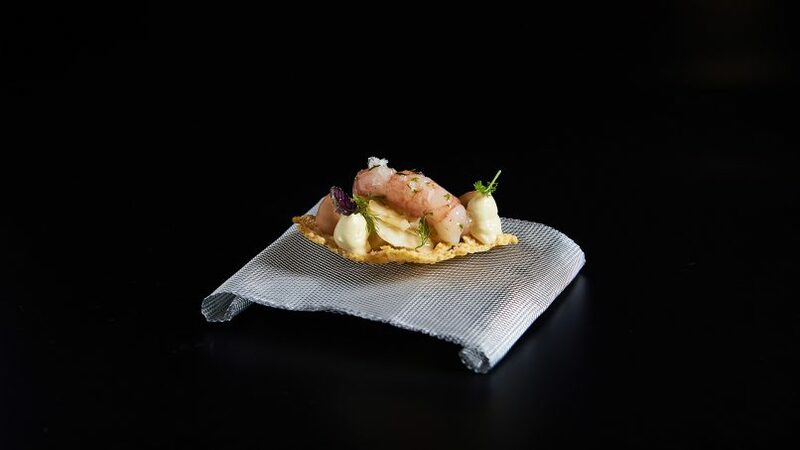 The first bite of an amuse bouche is often all it takes to understand a chef’s approach to food. And what arrives is a superb crispy polenta chip sitting on a folded wire gauze topped with a sweet and succulent amaebi shrimp accompanied with aioli and fennel fronds. The snack of polenta chip with amaebi shrimp. The flavours were explosive; the combination of textures was close to divine and it carried an unmistakeable message that chef Christophe is a master of flavour. What followed was dish after dish of explosive flavours, so much so that one begins to wish there was a palate cleanser, or a sommelier to recommend a good white wine to help brighten up the meal. Yet in delivering one blockbuster after next, chef Christophe showcases his culinary language. All of the mains for instance come in a classically French format, pairing a protein with a sauce, gravy or gel. Seared tuna with yellow curry. In one course, there was an indulgent blue fin tuna seared till its fat oozes out of the flesh, sitting in a coconut-milk based curry. Another was a tender portion of veal with pumpernickel breadcrumbs, creamy purees of jerusalem artichoke and chestnut lifted with the tanginess of verjus. One particular standout was a torched toothfish in an umami langoustine bisque. It’s given a sweet-sour dimension by way of confit mango and lemon that sits on top with crispy puffed rice. Those three dishes are just some of the delicious but easily received options. 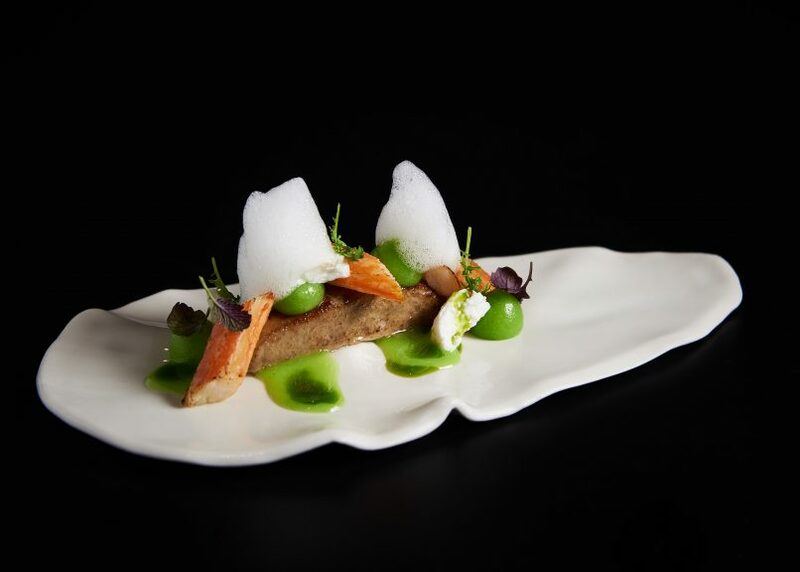 Here’s a challenging one: snow crab with pan-seared foie gras, little cubes of goat’s cheese and apple vinaigrette as well as apple foam – all in one dish. Snow crab with foie gras and apple foam. These ingredients are wildly divergent and might put off many at first. But venture deeper and taste each element alone before having it together. You’d soon realise that what sits before you is a self-contained universe with representations from the sea, the earth, the botanicals and even the air in the form of the ethereal apple foam. Just when you think you’re done navigating these new combinations and about to end the meal, another challenge arrives. This time, it’s by way of a chocolate truffle wrapped in Alsatian bacon for the petit fours. “People either love this or hate this,” volunteered chef Christophe. We loved it for not only did the combination sing, it was akin to the period at the end of a sentence when someone was trying make a statement; one that rings long after the meal is over. Chocolate truffle with Alsatian bacon. It’s clear that chef Christophe has brought out the big guns out at his new space. Perhaps, after the injustice of having one’s dreams dashed in a former venture, he’s keen to show the dining scene what he’s made of. 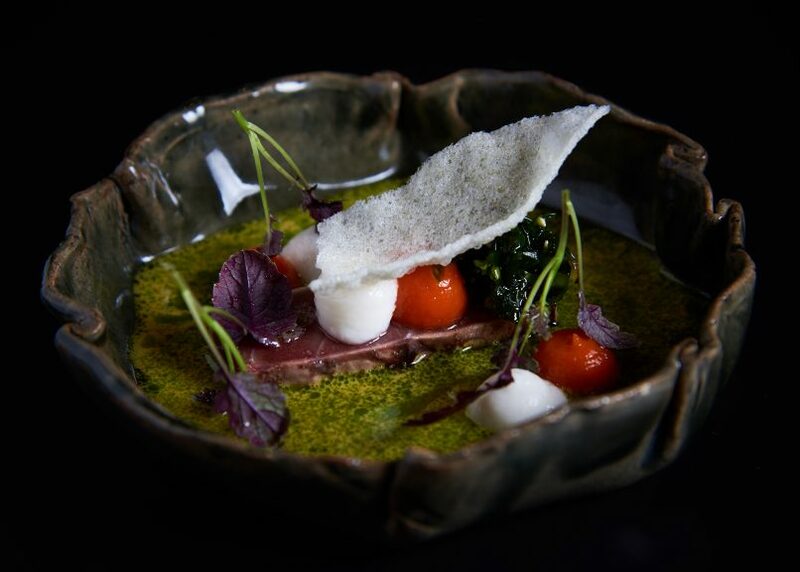 In an age where chefs provoke based on abstract concepts and are more concerned with plating up their egos than honest food, chef Christophe Lerouy will pull you back and remind you that flavour is still king. We have no doubt that in time, the restaurant will scale new heights and land very nicely in any list of Singapore’s best restaurants. 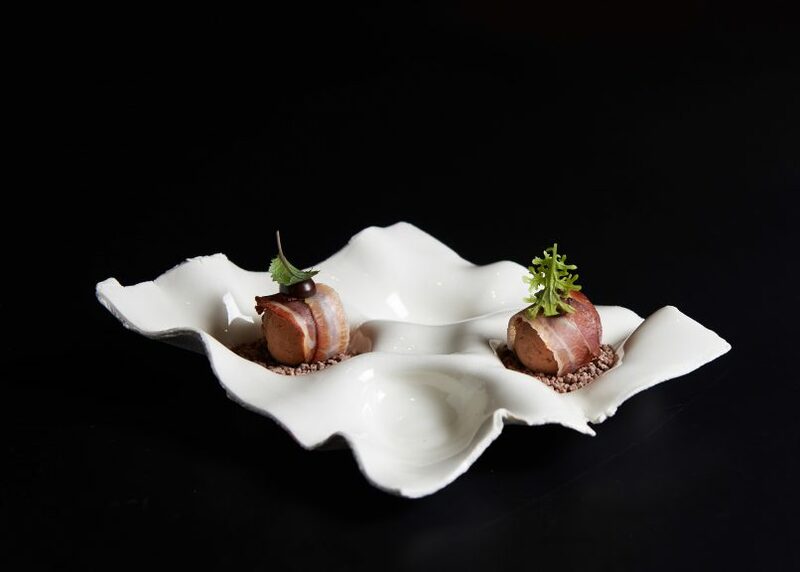 Recommended Dishes: Salt-baked cabbage with lardo and anchoiade sauce, bluefin tuna with yellow curry, chocolate truffle with Alsatian bacon. Price: Approximately S$170 per person with wine for the full experience. Service: Engaging. The chefs and floor staff give personalised attention.